Mpho Gift Ngoepe (pronounced mm-POH, n-GO-pay)… Mpho translates to "gift" in the Sotho language… Graduated from Rand Park High School in South Africa… Played for an MLB academy in Italy, where he was discovered by PIT… Was featured in a Sports Illustrated article in 2009 entitled "A Gift From Africa"… Signed by: Tom Randolph. l Began the season with TOR l Appeared in 13 games during March and April before being optioned to Buffalo (AAA) on 4/19 l Recalled on 4/30 and appeared in one game for TOR before being optioned back to Buffalo on 5/3 l Was on the DL with right shoulder inflammation, 7/17-28 l Following the season, played for Sydney in the Australian Baseball League; slashed .345/.429/.603 in 31 games. Started the season with Triple-A Indianapolis after hitting .429 (18-for-42) over 21 spring training games ... Homered for the I-Tribe in his first regular season game on April 6 vs. Toledo and hit safely in each of his first six games ... Was recalled to the Pirates on April 26 and made his MLB debut that night vs. CHC, becoming the 1st player from the continent of Africa to appear in a Major League game...Singled off Jon Lester in his 1st at-bat (1-for-2, BB, K) ... Reached base safely five times in his 1st MLB start (at second base) on April 28 at MIA (3-for-3, 3B, RBI, 2BB), becoming the first Pirate to do so since Eddie Moore in 1923 ... Drove in two runs on May 2 at CIN for his 1st multi-RBI game ... Started his 1st game at shortstop on May 4 at CIN where he went 1-for-3 with a double and an RBI ... Started his 1st game at third base on May 7 vs. MIL ... Was optioned back to Indianapolis on May 31 after hitting .222 (12-for-54) over 28 errorless games for the Pirates ... Spent time on the DL from June 20-July 6 with a hamstring strain ... Homered twice and drove in a personal-best five runs on Aug. 15 at Buffalo, his first multi-HR game since 2012. Spent all of 2016 with Indianapolis and made 97 starts at shortstop as well as three starts at second base...Led International League shortstops in fielding percentage (.984)...Made just one error over 58 games between May 24 and Aug. 7...Was suspended by the Pirates on Aug. 30 for the remainder of the season due to an off-field incident ... Was rated by Baseball America as "Best Defensive Infielder" in the Pirates' minor league system entering each season from 2013-2017. Entered the year rated by Baseball America as the "Best Defensive Infielder" in Pittsburgh's minor league system...Split season between Double-A Altoona and Triple-A Indianapolis...Hit .257 (79-for-307) with 16 doubles, three homers and 26 RBI in 92 games between the two clubs...Began season with Altoona and was the only Curve player to start each of the first 24 games...Hit .322 (27-for-90) in 24 games during the month of May and his .339 average over 34 games from 5/2 to 6/10 was the highest batting average in the Pirates organization during that span...Made all 71 defensive appearances at shortstop while playing with Altoona... Was promoted to Indianapolis on 6/29...Made 15 starts at shortstop and three at third base with Indy; also made two appearances at second base...Played final game on 7/26...Missed the final month with a left oblique injury. April 17, 2019 Lehigh Valley IronPigs activated 3B Gift Ngoepe from the 7-day injured list. January 11, 2019 Philadelphia Phillies signed free agent 3B Gift Ngoepe to a minor league contract and invited him to spring training. January 11, 2019 3B Gift Ngoepe assigned to Lehigh Valley IronPigs. August 13, 2018 Buffalo Bisons released 3B Gift Ngoepe. August 11, 2018 Buffalo Bisons activated 3B Gift Ngoepe from the temporarily inactive list. August 8, 2018 Buffalo Bisons placed 3B Gift Ngoepe on the temporarily inactive list. July 29, 2018 Buffalo Bisons activated 3B Gift Ngoepe from the 7-day disabled list. May 7, 2018 Toronto Blue Jays sent 3B Gift Ngoepe outright to Buffalo Bisons. May 7, 2018 Buffalo Bisons placed 3B Gift Ngoepe on the 7-day disabled list. May 3, 2018 Toronto Blue Jays optioned SS Gift Ngoepe to Buffalo Bisons. May 3, 2018 Toronto Blue Jays designated SS Gift Ngoepe for assignment. April 30, 2018 Toronto Blue Jays recalled Gift Ngoepe from Buffalo Bisons. April 20, 2018 Toronto Blue Jays optioned SS Gift Ngoepe to Buffalo Bisons. November 20, 2017 Pittsburgh Pirates traded SS Gift Ngoepe to Toronto Blue Jays. October 2, 2017 Pittsburgh Pirates recalled SS Gift Ngoepe from Indianapolis Indians. July 7, 2017 Indianapolis Indians activated SS Gift Ngoepe from the 7-day disabled list. July 4, 2017 Indianapolis Indians sent SS Gift Ngoepe on a rehab assignment to West Virginia Black Bears. June 22, 2017 Indianapolis Indians placed SS Gift Ngoepe on the 7-day disabled list retroactive to June 20, 2017. Strained left hamstring. June 1, 2017 Pittsburgh Pirates optioned SS Gift Ngoepe to Indianapolis Indians. April 26, 2017 Pittsburgh Pirates recalled Gift Ngoepe from Indianapolis Indians. March 28, 2017 Pittsburgh Pirates optioned SS Gift Ngoepe to Indianapolis Indians. October 3, 2016 Pittsburgh Pirates recalled Gift Ngoepe from Indianapolis Indians. September 23, 2016 Indianapolis Indians activated SS Gift Ngoepe. August 30, 2016 SS Gift Ngoepe roster status changed by Indianapolis Indians. March 18, 2016 Pittsburgh Pirates optioned SS Gift Ngoepe to Indianapolis Indians. November 5, 2015 Pittsburgh Pirates selected the contract of Gift Ngoepe from Indianapolis Indians. September 24, 2015 Indianapolis Indians activated SS Gift Ngoepe from the 7-day disabled list. June 29, 2015 SS Gift Ngoepe assigned to Indianapolis Indians from Altoona Curve. 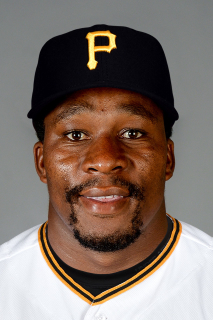 January 9, 2015 Pittsburgh Pirates invited non-roster 2B Gift Ngoepe to spring training. March 29, 2014 SS Gift Ngoepe assigned to Altoona Curve from Bradenton Marauders. March 5, 2014 SS Gift Ngoepe assigned to Pittsburgh Pirates. July 29, 2013 SS Gift Ngoepe assigned to Bradenton Marauders from Altoona Curve. June 28, 2013 Gift Ngoepe roster status changed by Altoona Curve. March 29, 2013 SS Gift Ngoepe assigned to Altoona Curve from Bradenton Marauders. February 25, 2013 SS Gift Ngoepe assigned to Pittsburgh Pirates. April 3, 2012 Gift Ngoepe assigned to Bradenton Marauders from West Virginia Power. March 25, 2012 SS Gift Ngoepe assigned to Pittsburgh Pirates. September 14, 2011 Gift Ngoepe roster status changed by West Virginia Power. July 18, 2011 sent SS Gift Ngoepe on a rehab assignment to GCL Pirates. May 21, 2011 West Virginia Power placed SS Gift Ngoepe on the 7-day disabled list. April 4, 2011 SS Gift Ngoepe assigned to West Virginia Power from State College Spikes. March 6, 2011 2B Gift Ngoepe assigned to Pittsburgh Pirates. June 14, 2010 Gift Ngoepe assigned to State College Spikes from Bradenton Marauders. June 8, 2010 Gift Ngoepe assigned to Bradenton Marauders from State College Spikes. April 16, 2010 Gift Ngoepe assigned to State College Spikes from Bradenton Marauders. April 10, 2010 Gift Ngoepe assigned to Bradenton Marauders from GCL Pirates. March 17, 2010 2B Gift Ngoepe assigned to Pittsburgh Pirates. October 10, 2008 Pittsburgh Pirates signed free agent SS Gift Ngoepe to a minor league contract.